I was looking around online for hip hop classes in DC and was lucky enough to come across a link to Urban Artistry. They hold FREE open practice sessions at the Dance Institute of Washington every Sunday from 3pm to 6pm, so I decided to check it out. A class that long and that cheap seemed too good to be true, so I thought ‘go figure’ when the doors were locked at 2:40pm. I decided to browse around Target until 3pm and check back. Luckily there were a handful of dancers at the studio so I knew class was on! The class started a little past 3pm with a warmup by Tasha. The warmup incorporated stretching into short combos and definitely worked up a sweat. Artistic Director Rashaad followed up with a session on popping and later taught a strutting combination. Strutting is a Bay Area style of popping and locking that groups three to four people dancing shoulder to shoulder. We even got the chance to add on to the combination by choreographing some moves of our own. Students were all ages from a seven year old to twenty somethings like myself. The atmosphere was welcoming and a great overall learning environment. Definitely recommend giving it a try. 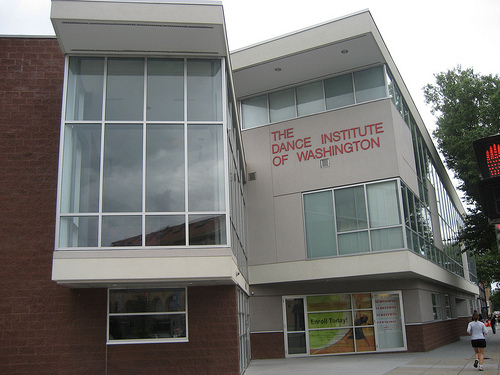 9/13/10 – After 9/26/10, Urban Artistry will no longer hold open practice sessions at the Dance Institute of Washington.